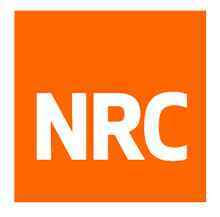 The Norwegian Refugee Council (NRC) is a non-governmental, humanitarian organization with 60 years of experience in helping to create a safer and more dignified life for refugees and internally displaced people. NRC advocates for the rights of displaced populations and offers assistance within the shelter, emergency food security, and water, sanitation and hygiene sectors. The Norwegian Refugee Council has approximately 5000 committed and competent employees involved in projects across four continents. In addition, NRC runs one of the world’s largest standby rosters, NORCAP, with 650 professionals, ready to be deployed on 72 hours’ notice when a crisis occurs. All NRC employees are expected to work in accordance with the organization’s core values: dedication, innovation, inclusivity and accountability. These attitudes and believes shall guide our actions and relationships. The purpose of the Help Desk Officer position is to promote refugees access to Humanitarian services provided by different organizations in Nyarugusu Camp. Ability to work independently in a result oriented multi-tasking and multi-cultural environment and manage conflicting priorities. The purpose of the stores Clerk position is to assist in the day to day implementation of the support functions. This entails assisting in warehousing activities of Non-Food Items (NFI’s) including asset management. The purpose of Emergency Officer is to enable displacement affected persons access timely humanitarian assistance upon arrival in the camp and their continued support. The officer will achieve this through guiding and supporting staffs working at the Distribution and Reception centre in the Refugee Camp. The purpose of the Reception Centre Assistant position is to assist in the day to day activities of supporting new arrivals and asylum seekers at the reception Centre. ix/ Ability to work independently in a result oriented multi-tasking and multi-cultural environment and manage conflicting priorities. Experience with capacity building of staff and training. The purpose of the Distribution Attendant is to distribute Non Food Items (NFI’s) and Core Relief Items to refugee persons in Nyarugusu Refugee Camp. This entails working in close collaboration with partner organizations and community leaders involved in the distribution.